Still predominantly a wildcat in America, the .300 Norma Magnum has already captured the imagination of long-range shooters. It’s a .338 Norma Magnum necked down to .308 caliber. Generates .30-378 Weatherby ballistics from a non-belted case. Capable of pushing a 208-grain bullet more than 3,000 fps at the muzzle. In early 2007, a ballistician named Jimmie Sloan began looking into long-range shooting and what it took to achieve success at 1,000 and 1,500 yards with a portable individual weapon system. Sloan was unsatisfied with the cartridges available at the time. He wanted a rifle cartridge capable of shooting a bullet with a very high ballistic coefficient, one that weighed 300 grains and traveled at velocities of about 2,800 fps. A wildcat cartridge known as the .338R was the result. In 2009, Norma AB Precision legitimized the cartridge as the .338 Norma Magnum. The .300 Norma Magnum is nothing more than the .338 Norma Magnum necked down to .308-caliber. Aside from that, the case dimensions are almost identical. The .300 Norma Magnum generates .30-378 Weatherby ballistics from a non-belted case with a standard, radius-free shoulder. Few American ammunition manufacturers offer factory loads, wildcatters have already gone to work by Ackley Improving the case so that it has a 40-degree shoulder. Brass for the .300 Norma Magnum is available from Midway USA. Though similar in name and caliber to the .308 Norma Magnum, these cartridges are not the same; the .300 Norma Magnum will push a 200-grain bullet to the same velocities the .308 Norma Magnum will push a 180-grain bullet. 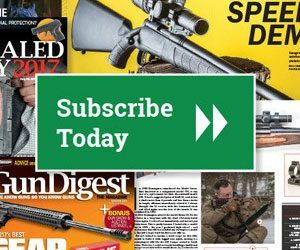 Editor’s Note: This article originally appeared in the 2018 Long-Range issue of Gun Digest the Magazine.